Yesterday, conservative commentator Star Parker made a guest appearance on “Fox & Friends.” What followed was an egregious comparison between the Confederate flag and the LGBT flag. How does one compare a flag that represents unity with a flag that represents “slavery, states’ rights, and political liberty for whites”? The two are polar opposites—apples to oranges. 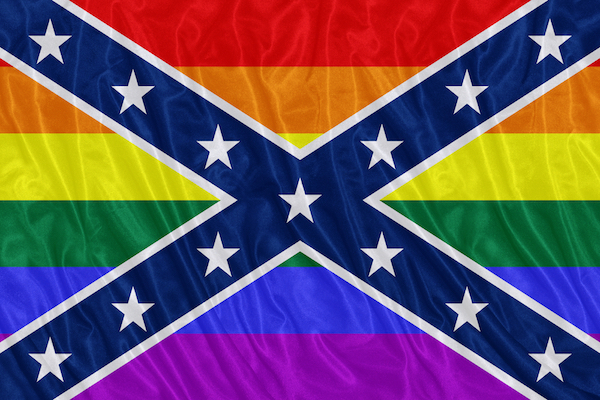 Furthermore, the LGBT flag is a symbol of empowerment, while the Confederate flag is a symbol of oppression. And for the record, the LGBT flag does not represent “that certain groups are not welcome here.” In fact, it’s quite the contrary; it’s meant to represent inclusion.